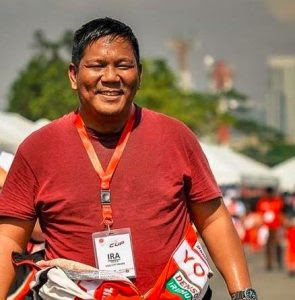 Photos of student protesters have gone viral online and elicited mixed views from netizens, but veteran journalist Ira Panganiban left words of advice to the causes the students were rallying for. “Don't be sheep, be leaders,” he said as he narrated how one of the posters a female student protester was carrying reads. “IMPERYALISMO IBAGSAK!” was the same battle-cry he had way back during his school days in the University of the Philippines (UP). “The imperialism you have in your posters? That was our battle cry when I was in UP. You know who that was for? The Americans! You know who the guy you are crucifying is against? The Americans,” he shared. 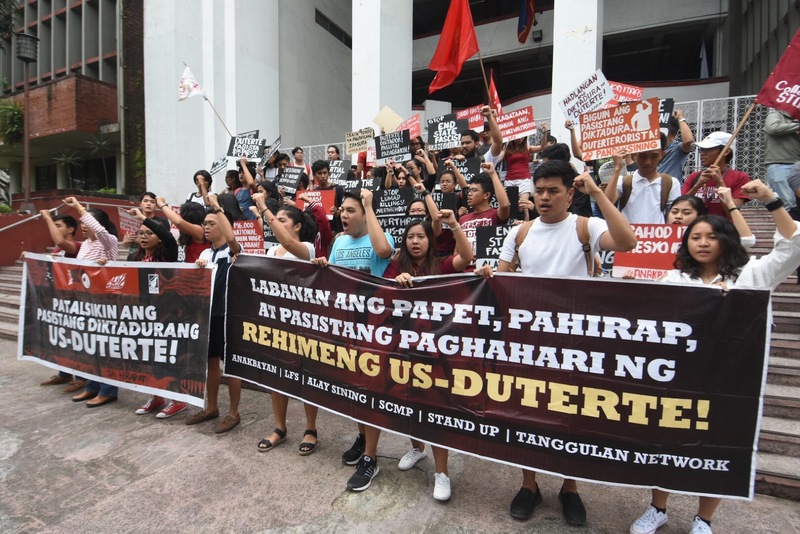 Panganiban urged the student protesters to be more knowledgeable about what they were protesting after he expressed concern over their contradicting statements about imperialism and “just and lasting peace”. 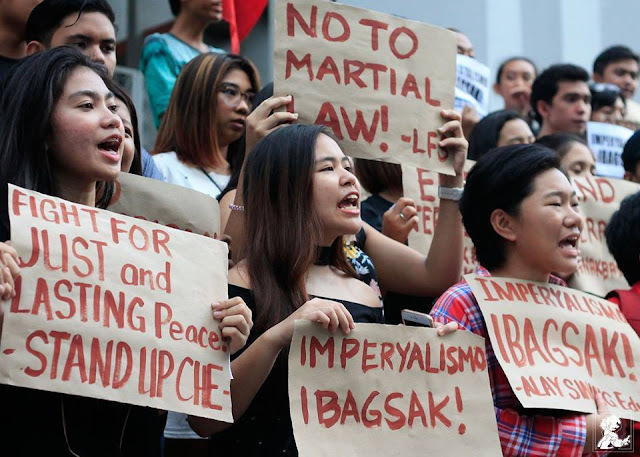 As the students held posters that lobbied for peace, Panganiban countered the statement by emphasizing that President Rodrigo Duterte’s call for Martial Law is exactly a means for that end. Whether the result of it will bear “just and lasting peace” is to be awaited. The journalist believes that before complaining about the government’s actions, one should be well-informed first and await the verdict or results of the implemented strategies before one protests. "What is wrong with this photo? Kids let me enlighten you a bit! The imperialism you have in your posters? That was our battle cry when I was in UP. You know who that was for? The Americans! You know who the guy you are crucifying is against? The Americans. Next time please be informed why you are in a protest rally. Don't be sheep, be leaders. While I am not so keen about Martial Law, that "fight for just and lasting peace" poster you have? That is what the government claims it is after when they declared Martial Law for 60 days. I suggest you let them do their job until we see there is something wrong. The phrase "innocent until proven guilty" does apply to all, even the government. I repeat children, please know why you are shouting and stamping in on a protest rally. Please know your cause. Know why you are there. I do not deprive you of your right to grow up. Just grow up informed. Again don't be sheep, be leaders!!!"